Art is a powerful for communicating messages. Photographs give an important visual reference. Paintings and sculptures offer the opportunity to dig more deeply into the feelings of the message. Theater, however, is a natural vehicle for storytelling. It is what we do every day. Sue Bear, a playwright from the Boston area, visited us last week to introduce theater techniques as a vehicle for voicing emotions, concerns, and messages. Sue worked primarily with Deep Creek Middle School, collaborating with DCMS English Teacher Sophia Smith, and led workshops to help students strengthen theatrical presence as they read and study plays. After Sue left, the first question the 9th graders asked was, “Where’s Ms. Sue Bear?”. That is exactly how I feel too, “Where is Ms. Sue Bear?” It is my hope that Sue returns soon to again liven up my English classroom with her warmth and love. Sue holds a Masters in Theater Arts Education and Community from Emerson College. Sue is also familiar to The Island School as proud parent to Wyatt Hill SP15 and Jessie Hill SP18. Sue most recently produced Bloggers Unplugged to sold-out crowds in Somerville, MA. She currently has three works in progress, including Sophie’s Masterpiece, a children’s musical set for staging in the Fall of 2018. We are excited to welcome 18 new students to the DCMS family. A successful six day Summer Bridge program has just finished that introduced new students to the routines, faculty, core values and expectations of our nurturing community. The experience ended with a beach picnic and relay races in the water testing student knowledge of faculty and program. BTC recently helped to make the international travel dreams of twenty seven young students a reality as a Gold Sponsor to the Deep Creek Middle School’s (DCMS) Starlight Affair Fundraiser. 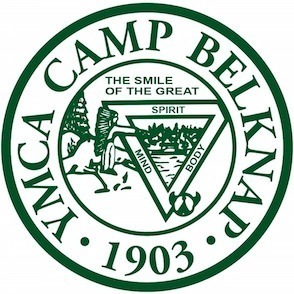 DCMS Students will attend Brewster Academy, The Bement School, Lawrenceville School, and The Pennington School this Fall! Congratulations to Tiia, Forrest, Jade and Tiara! Jade Knowles will attend Brewster Academy in Wolfsboro, NH this fall. She will join fellow DCMS alumna, Sidhira Johnson, who is currently a sophomore. Jade visited Brewster this January and immediately felt welcomed and loved and energy of the school. She is so excited to attend Brewster and was thrilled to meet the visiting Brewster students who spent their spring break at The Island School! Matt Hoopes, resident of Rainbow Bay and Alumni Officer for the Brewster Academy Advancement Office, shared in the celebration. Matt is also the founder of the Islesmon Camaraderie Non-profit Foundation, an organization providing assistance for exceptional Bahamian students who desire to continue their academic excellence by attending boarding schools and colleges in the United States, Canada, or England. Thank you Islemon Camaraderie for helping make this dream come true! Forrest Schmitt will attend The Bement School in Deerfield, MA this fall. After touring the school during the January visit, Forrest was impressed with the feel of the community, the closeness of students, and the wide range of classes. He is excited to play team sports, especially Ultimate Frisbee. He is also excited to downhill ski as the whole school heads to the mountains once a week! Bement’s boarding students hail from around the world and there is a strong international community represented. When Forrest attends in the fall, he will also be neighbor to Simeon Bethel, a freshman at Deerfield Academy, which is right next-door on the same Historic Deerfield street. Tiara McKinney has always wanted to go to boarding school. The opportunity to receive guidance through the application process was one of the reasons she decided to come to DCMS. When she received her acceptance letter from the Lawrenceville School, she was thrilled beyond belief- it even took several days for the news to really sink in! Tiara is very academically minded, and can’t wait to dive into all the classes of her Freshman year. She is a published author and especially passionate about poetry and short stories. Tiara will join many IS alumni at Lawrenceville, including her IS-Buddy, Addy Brown SP17! Tiia McKinney will be attending The Pennington School this fall. She toured the campus this January and absolutely loved the school, the community, the students, and the teachers! She felt so welcomed and had a wonderful reception by all. Tiia feels that Pennington will allow her to step out of her comfort zone, and seek international opportunities that might not be available otherwise. Tiia will learn a lot about Pennington from her IS-Buddy, Meg Long SP17! These sisters are excited to be heading to boarding school, but equally thrilled to be within 10 minutes of each other at nearby schools! DCMS faculty and staff wish our best and our congratulations to these four Grade 9 scholars who will be excellent ambassadors for our school and the island of Eleuthera! This February, DCMS students traveled across the continent for our fourth consecutive attendance at POPS: Plastic Ocean Pollution Solutions Algalita Youth Summit at Dana Point, California. Along with Ms. Elliott, DCMS students Katrina, Alisha, Toriano, Jade, traveled to the summit. Students participated from around the world, including Alex and Jack who will join The Island School SP17 semester! Grade 9 students applying to boarding schools in the U.S. had the opportunity to tour and interview at several schools this January on two separate trips. This fall students took the SSAT and completed applications before traveling north to New England and Mid-Atlantic states. The New England trip was led by Mrs. Schmitt and included a tour of six schools. Forrest Schmitt and Jade Knowles visited Brewster Academy (NH), Lawrence Academy (MA), The Bement School (MA), Kimball Union Academy (NH), The Groton School (MA) and Vermont Academy. The cold and blustery trip did not dampen the mood as students’ excitement kept spirits high. DCMS alumni sightings (Sim and Sidhira) were a highlight of the trip! Simeon Bethel, now a freshman at Deerfield Academy in MA, joined the group for dinner while they were in Deerfield. He shared stories of rowing for the crew team, evening study hall sessions, dorm life, and upcoming plans to join the basketball team. Simeon’s studies are paying off as he earned high honors for the fall term! 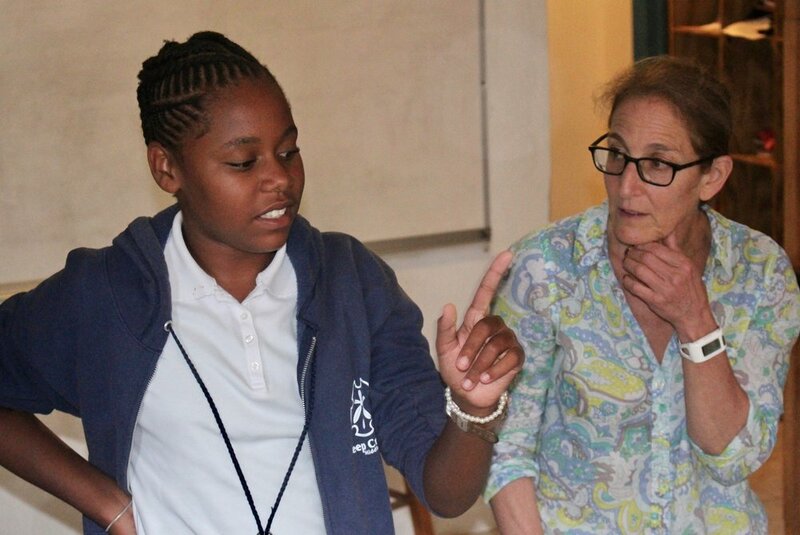 Sidhira Johnson, sophomore at Brewster Academy, was a surprise host as the tour guide for the Brewster campus. Sidhira is enjoying boarding school immensely and was a good sport leading the students through an ice-storm. The Mid-Atlantic trip was led by Ms. Peace. Tiia and Tiara McKinney visited The Lawrenceville School (NJ), The Pennington School (NJ), Mercersburg Academy (PA), Saint Andrew’s (DE), and Blair Academy (NJ). Tiia and Tiara were particularly impressed with the variety of classes and extra-curricular opportunities. While visiting Lawrenceville, the group reunited with Island School alumni! For the girls, this was the first time seeing snow! It was also especially exciting for these two budding authors to visit the nearby bookstore. Thank you to the Maxey’s for hosting the students! We wish these students the best as they wait for their admission decisions. G7: Snorkeling, exploring, adventuring! Turtles, rays, mangroves! 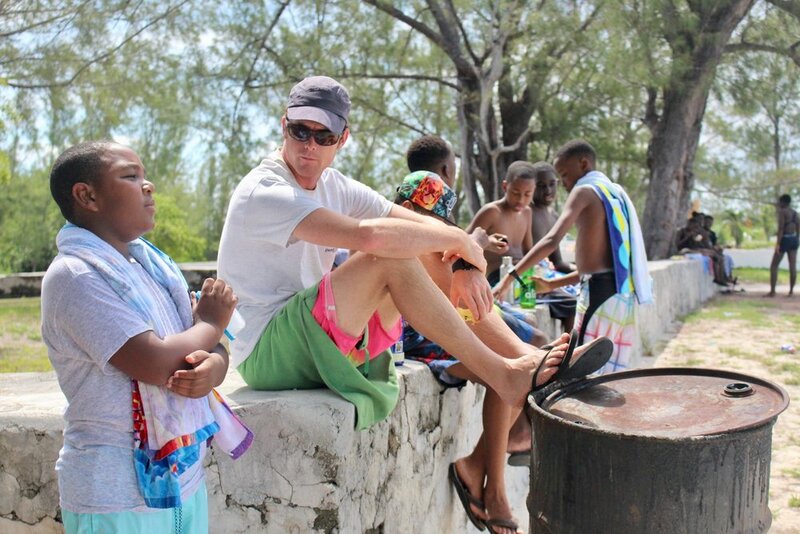 Our Seven’s were on the go as they eagerly explored marine ecosystems of South Eleuthera. 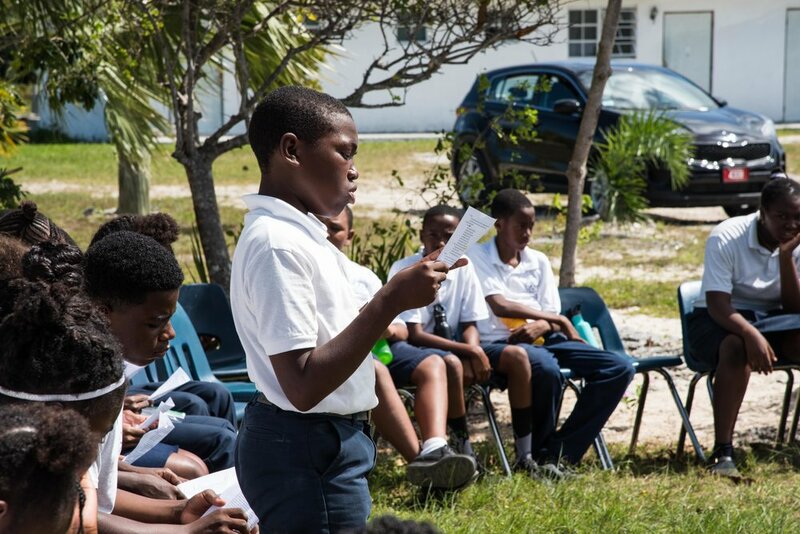 During this time, they were all scientists, exploring, researching, observing and becoming passionate about the marine ecosystems of The Bahamas. We caught sharks and stingrays, snorkeled coral reefs, tagged turtles, and learned about local fisheries, lionfish and mangroves. The week was packed with amazing adventure and tons of fun. We all left exhausted, but fulfilled. 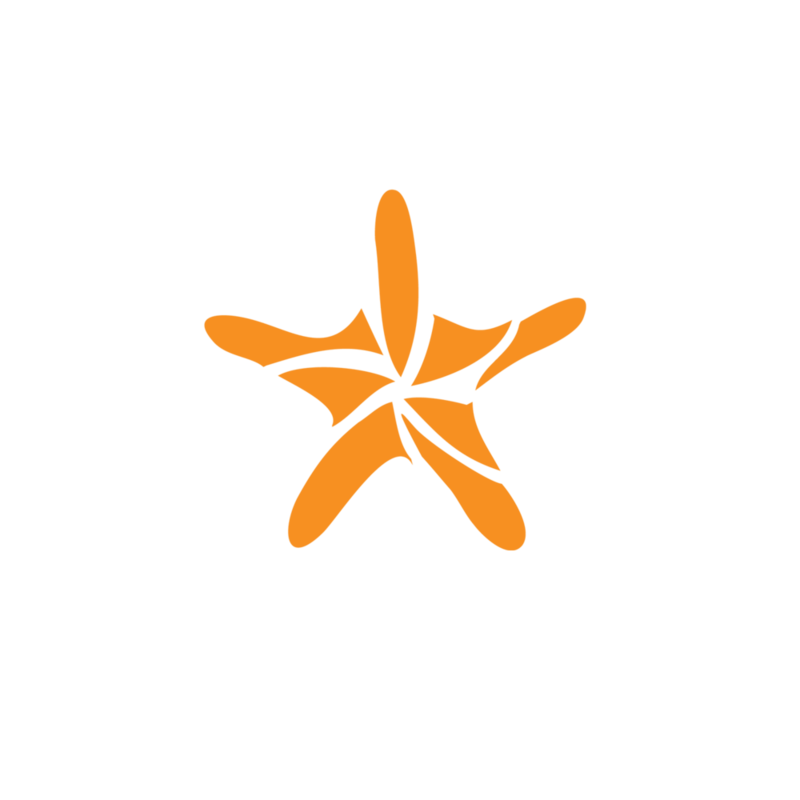 Our intent is to have students create a marine advocacy project to “Save Our Seas”. G8: The Grade 8s triumphed in new experiences during SWW- new situations (overnight camping), new ecosystems (from seagrass beds to crawfish fisheries), and new locations. Students took a guided swimming tour through mangroves, snorkeled a reef off the Cape, traveled to Spanish Wells to interview crawfish fishermen, stayed the night at Preacher’s Cave, and saw the Sapphire Hole in north Eleuthera. G9: After completing all PADI book learning, students used the full-day SWW week to work toward SCUBA certification. Students met at the Island School Boat House, put together their dive kits, and went underwater twice a day. A highlight was meeting so many fantastic dive masters and instructors from CEI and IS. We send out most heartfelt thanks to all who helped us reach our goal! Led by Captain Ron Knight and assisted by Ms. Hoban and Ms. Schmitt, students showed us that they are competent and comfortable scuba divers. We are so proud of the whole group! 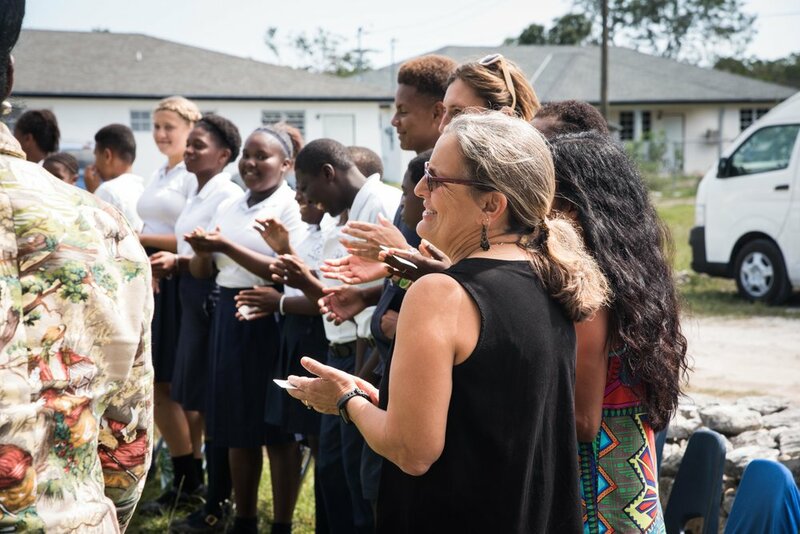 DCMS recently joined forces with Preston H. Albury High School, Harbour Island All Age School, and The Island School for the fourth annual International Coastal Cleanup Day. The cleanup took place at Northside Beach, Rock Sound, where 1,080 pounds of litter were collected in less than a mile. Simeon Bethel Heading to Deerfield Academy! Simeon Bethel has been accepted and enrolled at Deerfield Academy, an independent private school in Western Massachusetts!